Car Next Door makes it simple to turn any car into a share car, empowering people to save money, reduce waste and create cleaner, greener, better neighbourhoods. It’s common sense for the common good. Our Key Handover sharing plan has no membership fees and no minimum availability requirements. Yout just need to be able to meet the Borrower to handover the keys. With our Key Handover plan, you and the Borrower meet at the start and end of each booking to handover the keys. You’ll receive the Borrower’s contact details when they make a booking on your car. Contact the Borrower as soon as possible to let them know where to meet you. Car Next Door works on a system of instant bookings. This means that your car can be booked instantly at any time when you haven’t booked it out for your own use. For the system to work, it's crucial that you always book your car if you're going to drive it, and block out any times you're unavailable to meet Borrowers. How do I manage my car's availability calendar? Your car is covered by our comprehensive insurance policy whenever it's with a Borrower. You'll need to keep your own insurance to cover your car at all other times. It's very rare for cars to get damaged - on average a car would need to be rented out for close to 20 years for it sustain serious damage. If your car does get damaged while with a Borrower, our repair processes will kick in to get your car repaired and back on the road as soon as possible – we'll take care of it all. It's important to note that our insurance doesn't include cover for 'wear and tear'. How is my car's value assessed if it's a total loss? We have a simple system for making sure each driver pays for the fuel they use. We track how far Borrowers drive through the odometer readings they enter. You confirm these readings after each trip. You need to have a valid toll account for your car for you and your Borrowers to use. Each month, send us your toll statement to be reimbursed for any tolls incurred by Borrowers. How do tolls get charged to the right person? Each month we'll pay you your share of your car's income, less the cost of any fuel Borrowers have bought for your car. We'll deposit your earnings straight into your bank account. Your membership includes comprehensive insurance for your car whenever it's with Borrowers and 24/7 member support. We take a commission on your earnings: you keep 60% of all time-based income, and we take 40%. We also take a commission on your distance income: we take 8c per kilometre and you keep the rest. What is Car Next Door's commission? Why does Car Next Door take a share of my income? The Car Next Door website and app provide you with all the tools you need to manage your car. Here you can see your car's calendar, book your car for yourself, update your car's profile, leave reviews for your borrowers, and see information about your earnings and payments. As a car-sharing community, we have a set of rules and standards to keep everything running smoothly. Just as borrowers expect to find your car clean and roadworthy, you can expect your borrowers to treat your car well. In the unlikely event that a borrower does the wrong thing, we're here to help. Remember: the community standards, and fees for not following them, apply to car owners too. There are lots of things we do to promote your car, and lots of ways you can help too. Telling your friends and neighbours about Car Next Door, creating an ad on Gumtree or Facebook Marketplace, and putting up posters in local community hot spots can all help get the word out. How can I maximise my earnings? It can be hard waiting for bookings for your car, but it's important to remember that it can take a little while for your car's bookings to build. There are many variables that impact on how many bookings your car will get, including seasonal demand, availability and your car's rates. How long will it take to get regular bookings? Why is my car less busy in winter? How much should I charge for the use of my car? How do I change the rates charged for my car? The number one factor affecting bookings is availability. The more your car is available, the more bookings it will get and more the money you will earn. There's no minimum availability requirement on our Key Handover plan, but to maximise your earnings keep your car as available as possible. If your car is booked at a time you need it, it's best to make alternative arrangments (like booking another local car) rather than cancel the borrower's booking. If you cancel a borrower's booking we may need to charge you a fee to cover our costs of arranging alternative transport for them. Can I still drive my car whenever I want? Can I cancel a borrower's booking? 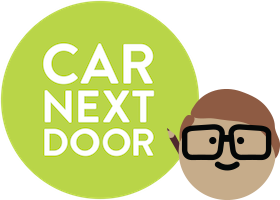 When you join Car Next Door, you join a community of over 100,000 car sharers across Australia. By renting your car out, you're helping your neighbours get around and reducing the waste of underused cars. Car-sharing is the most sustainable way to access a car, and with all the emissions from borrowers' driving offset through Greenfleet your car is also planting trees! Want to connect with other Car Next Door owners? Join our private Car Next Door Owners Facebook Group. Our mission is to free people and the planet from the ‘one person, one car’ mentality. We want to help as many people as possible save money and reduce their environmental impact. To do that, we need your help to spread the word about neighbour-to-neighbour car-sharing! How do I invite a friend and earn credit?